You're not into competition, but slip on the Outjump and you might outlast your friends clad in less-comfortable shoes. 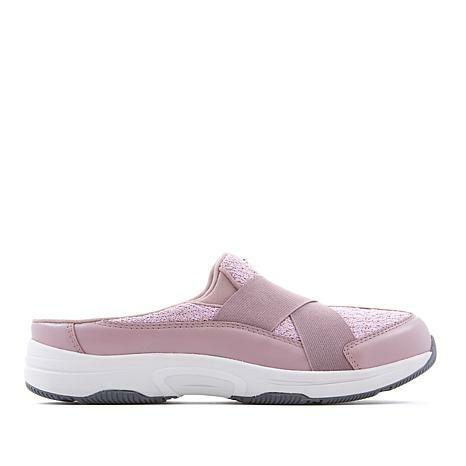 Built with Easy Spirit anti-gravity™ technology to help support your feet for all day long, this sport clog also features elastic crossband straps for a little extra hug. This is a great-looking mule crafted from a luxe combination of leather and fabric, so it easily pairs with more than athleisurewear. 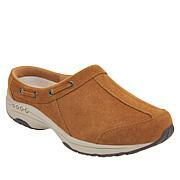 Love, love, love easy spirit shoes! 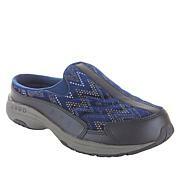 Very comfortable and come in wide widths! I love clogs. 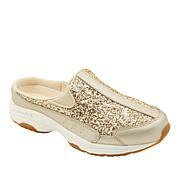 They are easy to jump into and walk the dog or run errands. Although, I 've had many clogs, this one is not only good looking, but you can wear them with most colors in your closet!The back of the clog is made to envelope the entire foot! Very nice. Easy Spirit has always been a classy shoe company. I've been wearing them for a lot of years. Good job! These are another winner from easy spirit. I first bought the twilight color. Then today came back for the grey with a coupon. Thank you HSN and easy spirit for the 10W. Fit true to size. I love these shoes; I bought the purple and they are SO PRETTY! 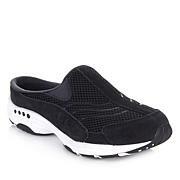 They are extremely comfortable and easy to take on and off. This is my second pair of Easy Spirits!